The Impala features a three-position visor. The Lazer Impala is positioned one tier above the Coyote launched earlier this year. Compared to the Coyote, the Impala is lighter, offers additional venting, and it has an adjustable, rather than fixed, visor that swings high enough for goggle stowing. Like the more budget-minded Coyote, the Impala offers extended coverage on the rear and sides. The Lazer Impala also has 22 vents to facilitate airflow. Claimed weight is 295g size small. The Lazer Impala will be available in MIPS and non-MIPS versions. 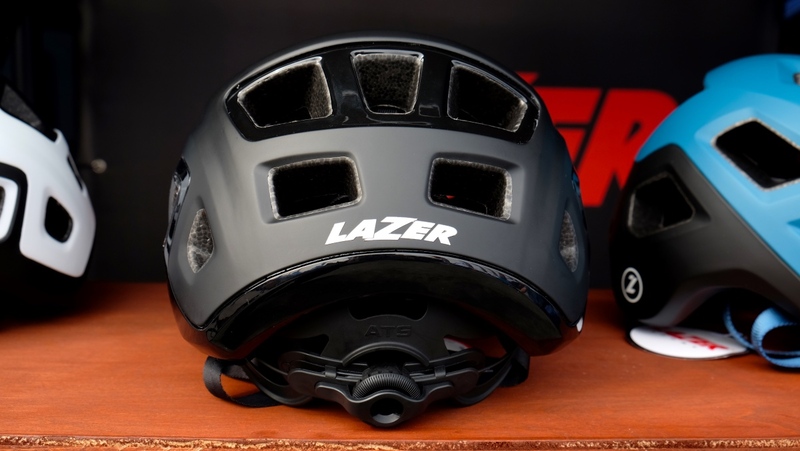 For both the Impala and Coyote, Lazer moved away from the top-mounted Rollsys retention system used on some of its helmets to a lighter, more traditional rear-mounted dial system dubbed ATS. 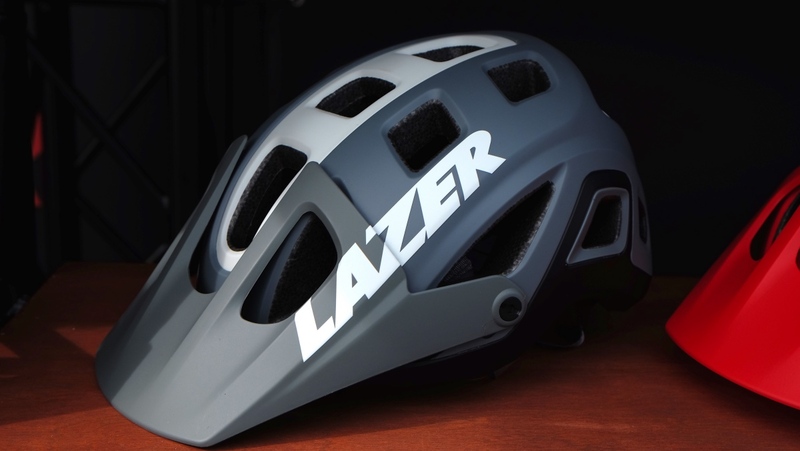 According to Laser, this system is better suited to work with the increased coverage of these trail helmets. 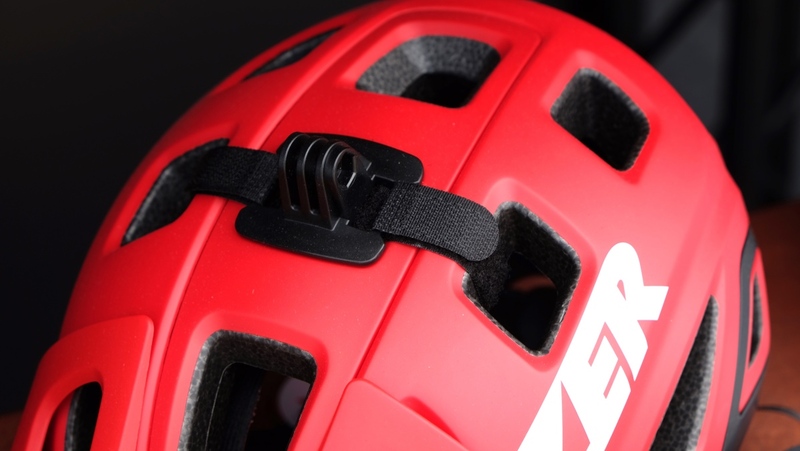 Unlike some other Lazer helmets that use the top-mounted Rollsys retention system, the Impala uses a standard ratcheting dial to save weight. 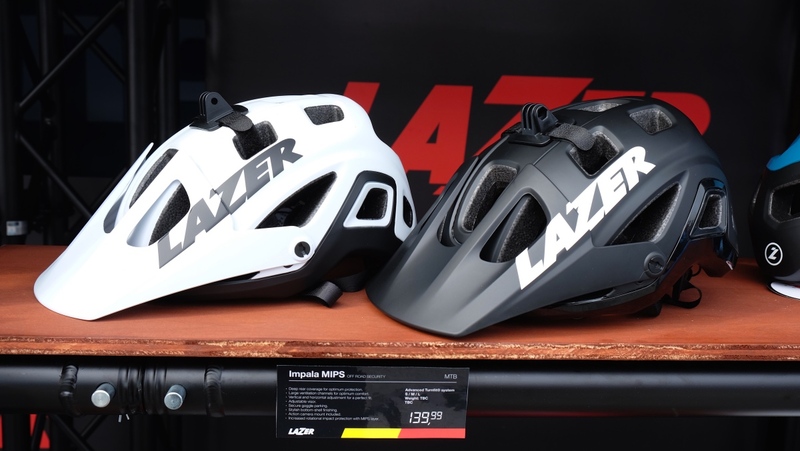 The Lazer Impala will be available in MIPS and non-MIPS versions when it comes to market in May. The MIPS-equipped version will retail for $140. The Impala without the MIPS system will sell for $120. The Impala comes with a removable mount for a light or action cam. To learn more head over to www.lazersport.com.